An Egyptian extremist group that pledged loyalty to the Islamic State has claimed responsibility for a series of deadly attacks in Sinai, which killed at least 27 people and injured dozens more. The first attack in North Sinai on Thursday was a bombing that apparently targeted a military HQ and a hotel. At least 25 people were killed and almost 60 injured – including civilians – local security and medical services said. The violence continued with the assassination of an army major at a checkpoint in Rafah. Six others were injured in the raid. Another assault on a checkpoint south of Al-Arish wounded four soldiers, Reuters reported. Later in the day, a roadside bomb killed at least one police officer in Suez city. The group, calling itself the Sinai Province of Islamic State, claimed responsibility for the attacks in a series of tweets. Previously known as Ansar Bayt al-Maqdis, the group pledged allegiance to ISIS last November. 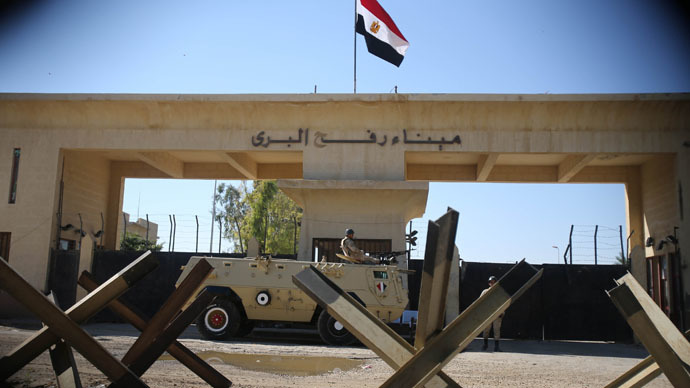 The Sinai province – which is located in Egypt's remote desert region and borders the Gaza Strip, Israel and the Suez Canal – has been facing an Islamist insurgency which has claimed the lives of hundreds of security officers in the region.